Come and celebrate Christmas with Auckland Libraries and the Wesley Market! 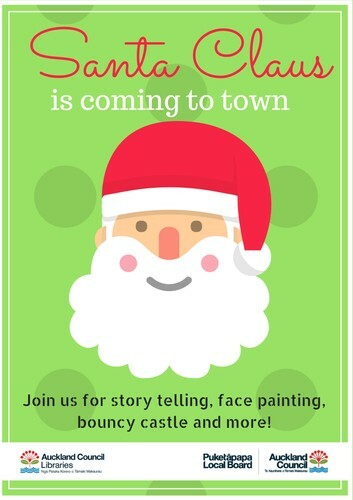 Story telling, face painting, bouncy castle and special guest - Santa! Enjoy a family friendly Christmas this December, all here at the Wesley Community Centre.